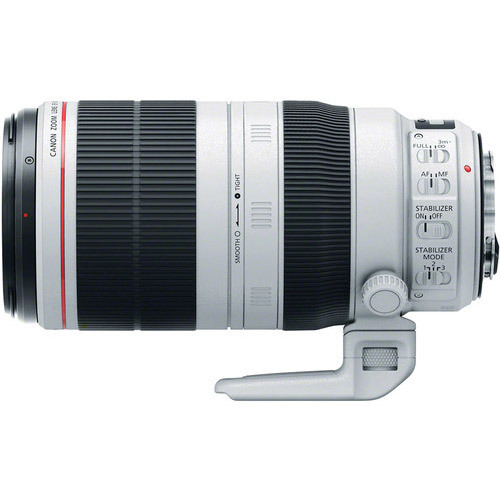 The EF 100-400mm f/4.5-5.6L IS II USM lens delivers a superb combination of cutting-edge performance, compact construction and brilliant resolving power that’s great for sports and wildlife photography. 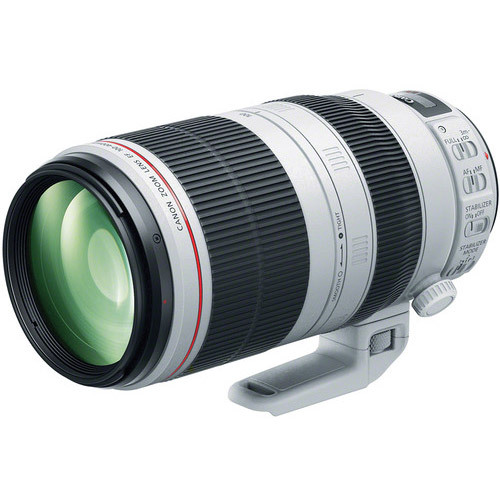 The lens features one fluorite and one super UD element to help provide impressive contrast and resolution with reduced chromatic aberration across the entire zoom range. Canon’s new Air Sphere Coating (ASC) helps significantly reduce backlit flaring and ghosting, while fluorine coatings on the front and rear lens surfaces help lessen smears and fingerprints. A 9-blade circular aperture renders beautiful, soft backgrounds, and a 3 mode (standard, panning and exposure only) Optical Image Stabilizer provides up to 4 steps of image correction. The new inner focusing AF system helps ensure fast and accurate focus down to 3.2 ft. with a .31x maximum magnification. Usability enhancements include a rotation-type zoom ring with adjustable zoom torque for more precise, customizable zoom performance, a redesigned tripod mount that can be attached and detached without removing the lens from the camera, and an all-new lens hood with a side window that makes it simple to adjust specialty filters-like polarizers-without the need to remove the hood. 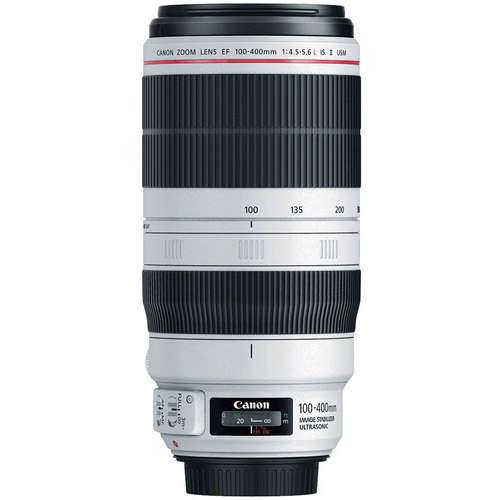 Ruggedly constructed with advanced dust and water sealing for durability in a range of environments, the EF 100-400mm f/4.5-5.6L IS II USM lens is a stellar performer with refined controls for a wide variety of situations.